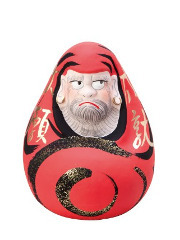 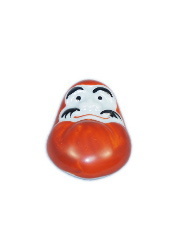 These giant red daruma dolls respect the traditional colors and shapes. 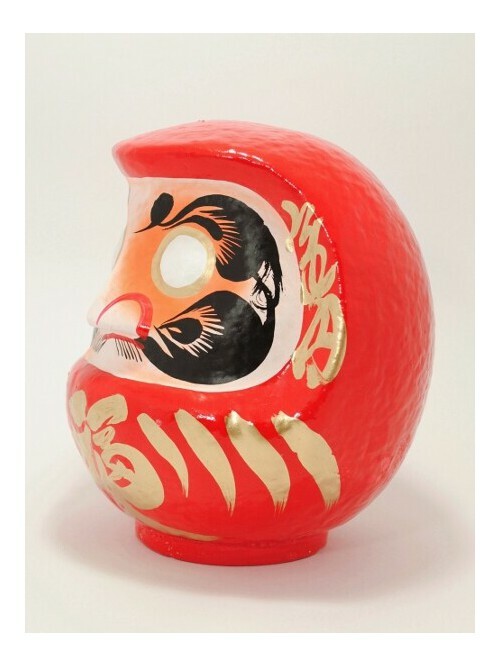 The all red version belongs to the most popular models bought in temples in Japan by Japanese people but also many companies. 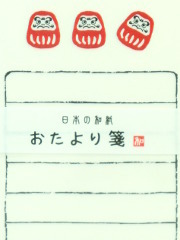 The inscription on the right (anzen) is translated by safety and the one on the left (kanai) by family. 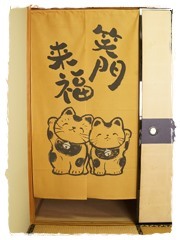 The kanji "fukuiri" on the stomach means 'Fortune-Bringing' and refers to its lucky charm function and to the fact its owner should add an eye to reach a special goal. 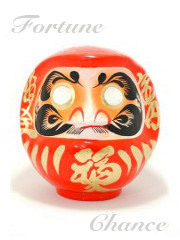 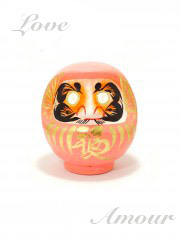 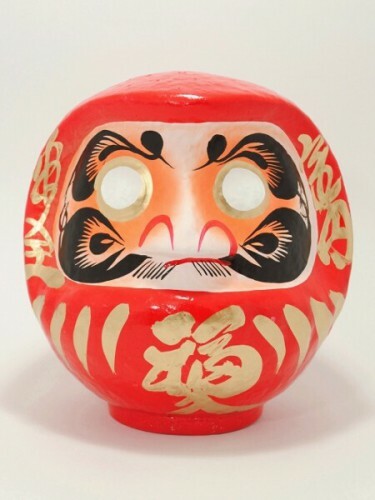 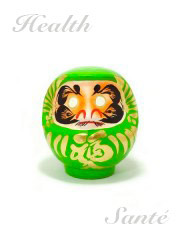 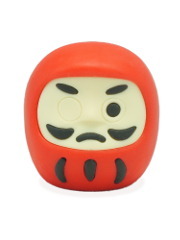 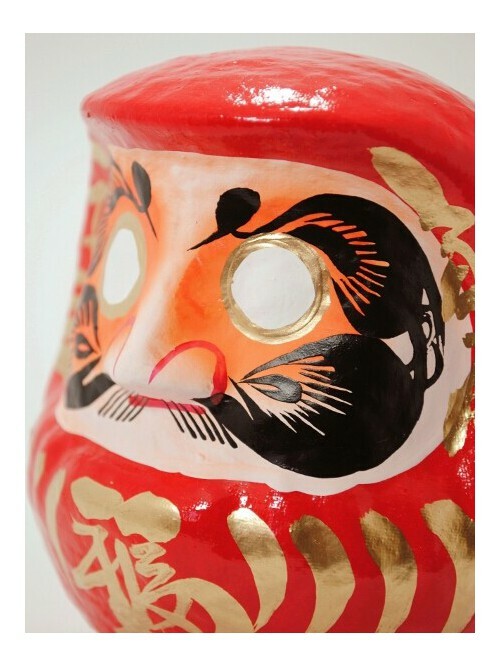 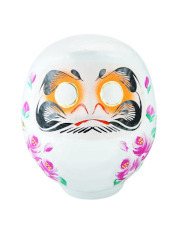 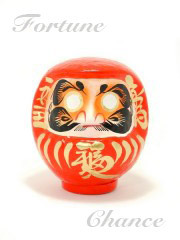 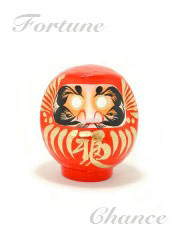 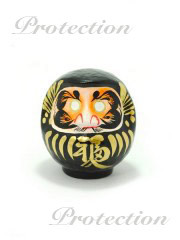 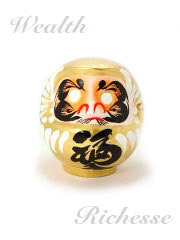 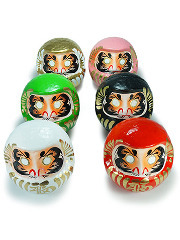 The Iwaki Daruma version has the distinction of both eyes painted during manufacture, unlike the common models. 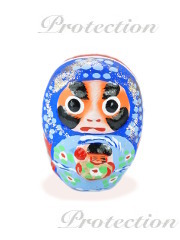 They observe in all directions in order to protect the family from all misfortunes. 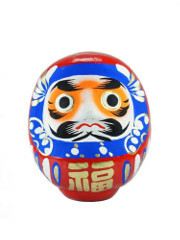 This model has also the originality to have dark blue collar around his face with white and gold petals on it. 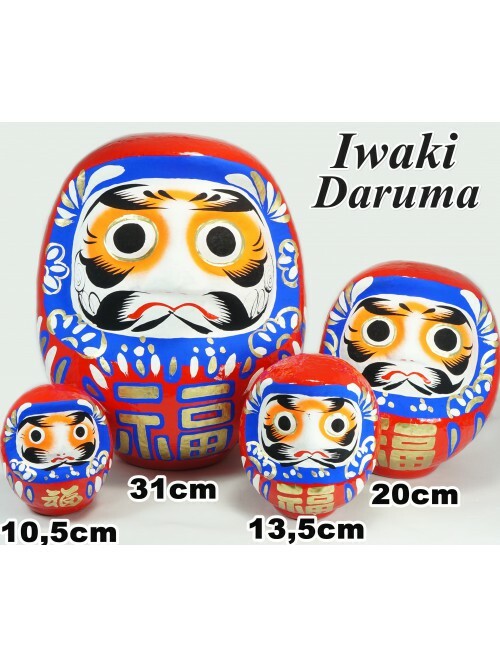 It is available in smaller version here. 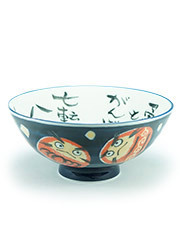 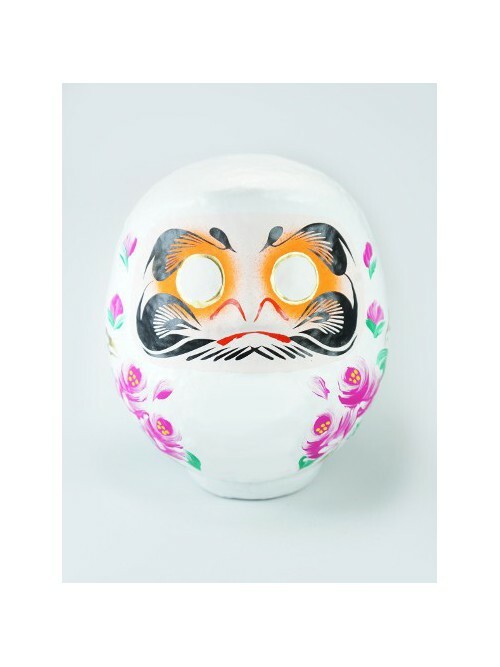 The white 35cm (13.8 inch) Hana Iwaki daruma has beautiful flowers handpainted on it. 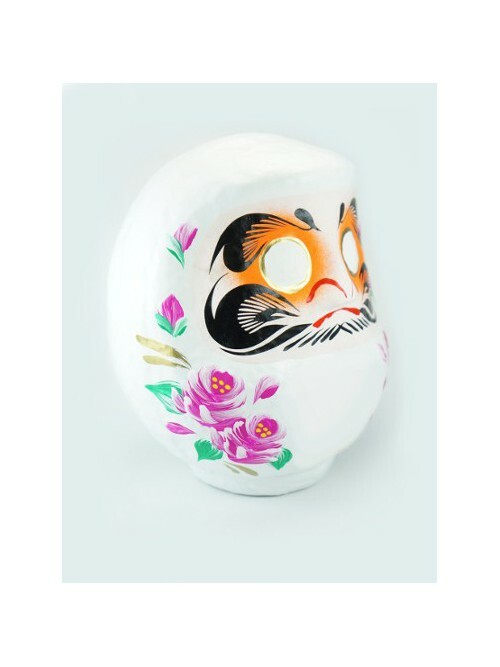 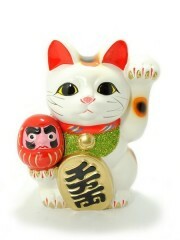 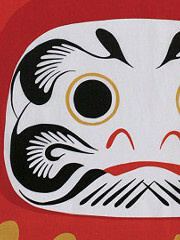 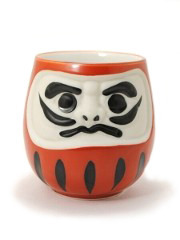 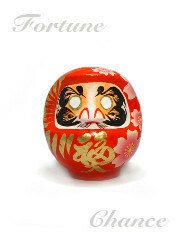 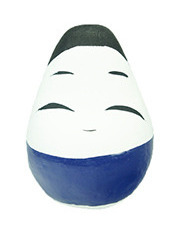 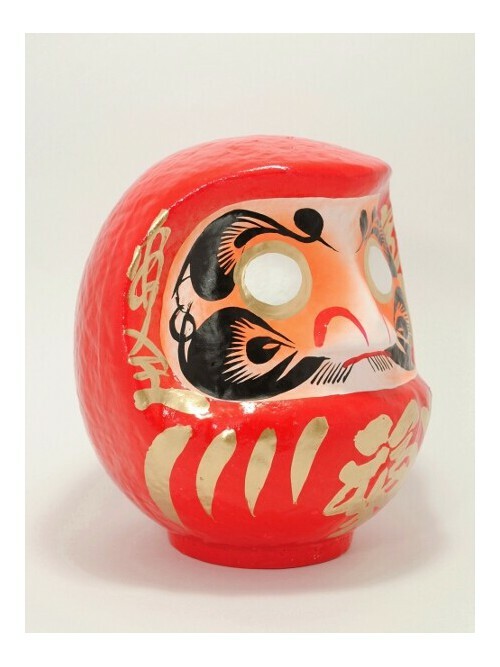 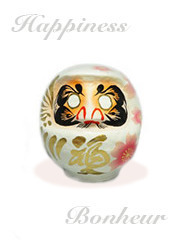 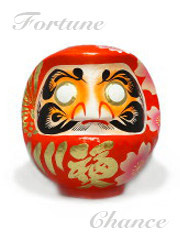 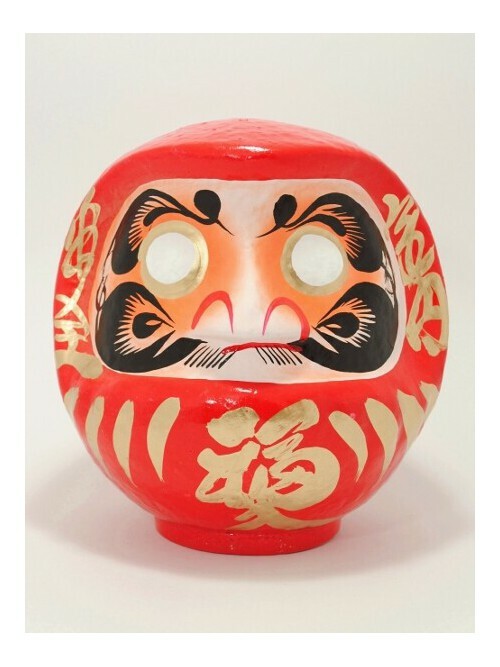 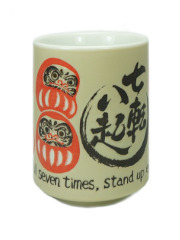 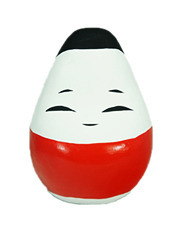 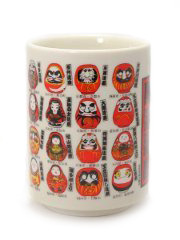 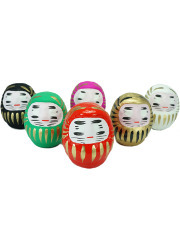 White daruma dolls symbolize harmony and are believed to bring peace and calm into a home. 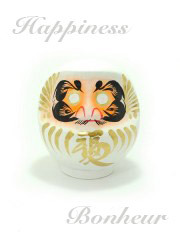 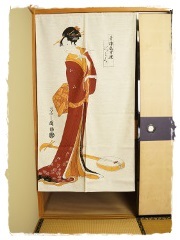 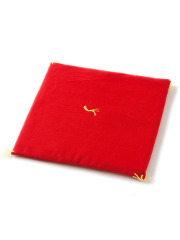 They make a perfect wedding gift as the newlyweds convey whish of eternal happiness. 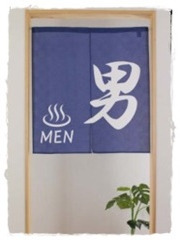 Discover all our models and learn more information about their use and meaning at their category page.